A new storysack for our library! 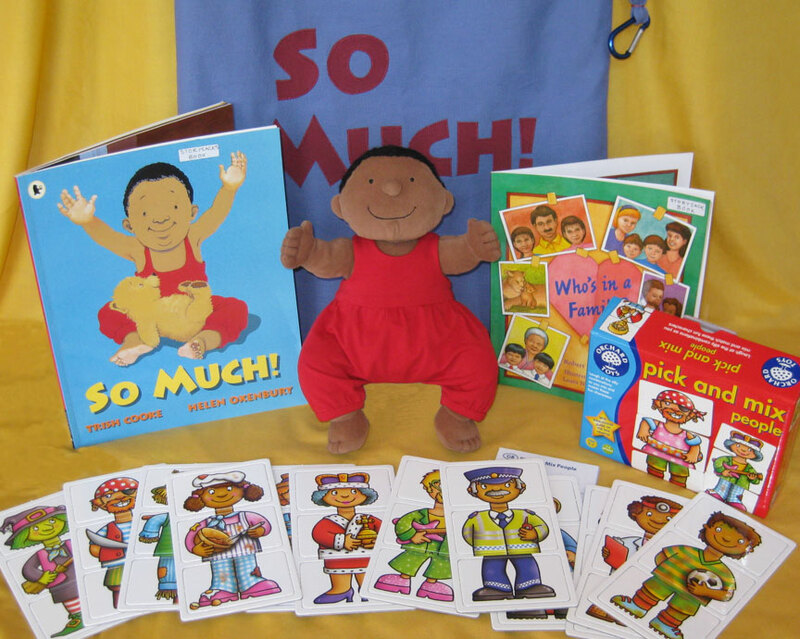 I finished putting together this new storysack today – “So Much” is on the Early Years Core Reading List and Myatt Garden P.T.A. provided the funding for it. I spent my summer holiday embroidering this little chap’s hair and making his romper suit – I shall miss him sitting on my desk but he will be much loved by the children and teachers. 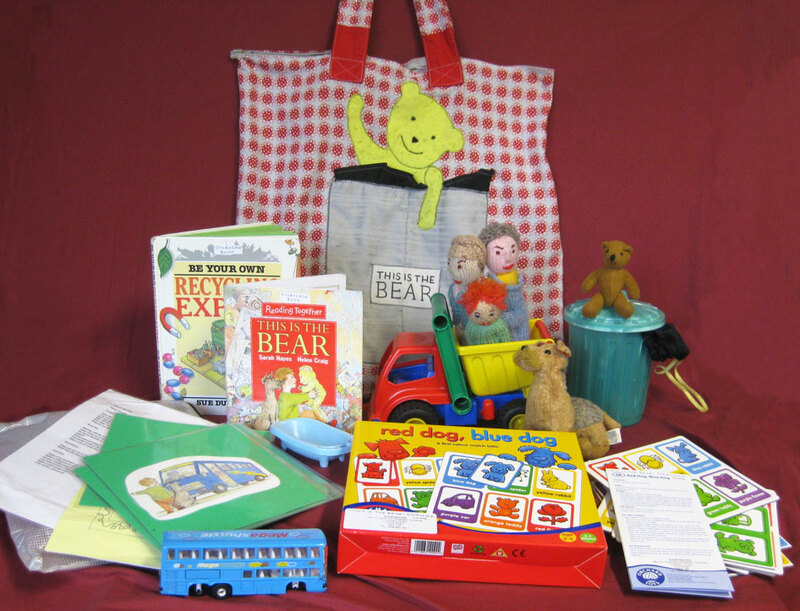 This entry was posted in Core Books, News and tagged Baby, Early Years Core Book List, Family, Myatt Garden, So Much, Storysack, Storysacks Library on 30/10/2016 by Lisa Bennett. This new Storysack Each Peach Pear Plum is a book on the Myatt Garden Early Years Core Reading List. Each Peach Pear Plum is an “I Spy” rhyming story, it’s lots of fun trying to find all the fairy-tale and nursery rhyme characters hiding in the pictures. Then you can make up your own stories with all the puppet characters! I had some funding to buy the game and books for this Storysack from Myatt Garden P.T.A. but the cloth sack and puppet theatre were made with leftover fabric I’ve had in my cupboard for years, it was great to find a good use for it. This entry was posted in Core Books, News and tagged Each Peach Pear Plum, Early Years Core Book List, Myatt Garden, Nursery Rhymes, Puppet theatre, Storysack, Storysacks Library on 30/10/2016 by Lisa Bennett. This is a very popular story sack, which means it’s had a lot of wear and tear over the last 11 years. The game had lost too many pieces to be useable, so I looked around for a new one: Red Dog Blue Dog is a colour and shape lotto game which I hope everyone will enjoy playing. 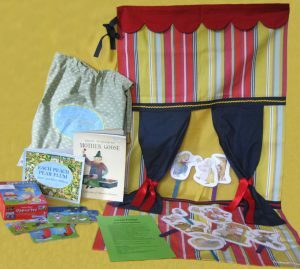 When significant new pieces/replacements are added to a Storysack it has to be re-photographed, two new inventories and a new Photoblurb (the cards the children choose from) are made, plus changing the photo here on the website….. This entry was posted in News on 30/10/2016 by Lisa Bennett. He’s football crazy, football mad! 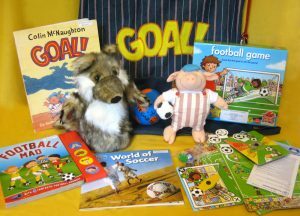 ‘ Goal!’, a new Preston Pig story for the Library. I’ve wanted to make a football themed storysack for ages. 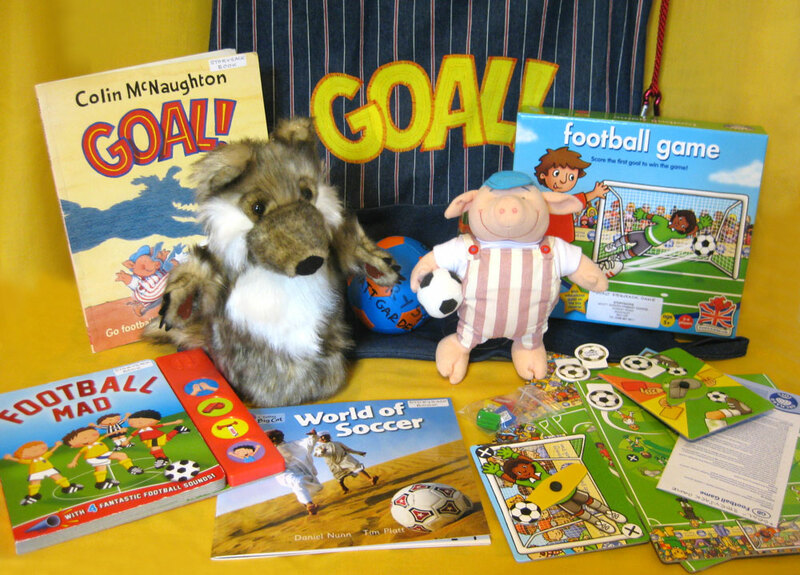 At last, a couple of months ago I spied a Preston Pig toy, complete with football, on Ebay – and so was able to put this storysack together over the summer. I think it’ll be a big hit with this year’s Reception children.